Since 1996 when it first hit the market, Adderall has been a popular drug for treating ADHD. A patented blend of amphetamine salts, it is available in standard and instant release forms. 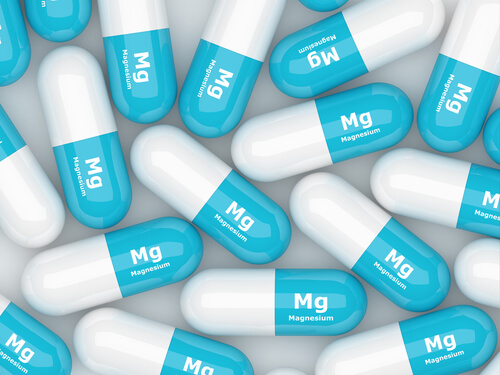 While it was once seen as a miracle drug of sorts, the longer it has been on the market, the more problems have come to light. Now, Adderall is known for its street use as much as its medical use, with many wondering how to get an Adderall prescription. Even when used as prescribed, there are concerns: namely, the development of Adderall tolerance—which has even resulted in an FDA Adderall lawsuit–and the potential dangers of patients attempting to potentiate Adderall. What Contributes to Adderall Tolerance? How to Prevent Adderall Tolerance? How to Reduce Tolerance to Adderall? 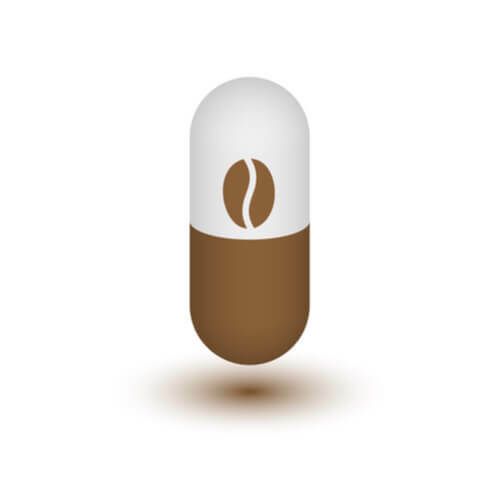 Tolerance refers to a bodily process in which systems impacted by a substance steadily become used to the presence of the substance, lessening the effects produced through consumption. Or, to put it more simply, the longer you take certain substances, the less you will feel their effects. The concept specifically linked to addictive substances–thus why Adderall tolerance exists–and becoming tolerant of a substance is usually the step right before becoming addicted to it. This Adderall tolerance is when the central nervous system becomes so used to the presence of the drug that its effects seem weaker or cannot be noticed at all. When this occurs, some patients may assume that it has stopped working and seek out a new medication. Others may look into ways to potentiate—or increase the effects of—the drug, while others still may start increasing their dosages, and not always with doctor supervision. Because it can encourage risky behaviors, such as looking into how to get the most out of Adderall, this process is dangerous. 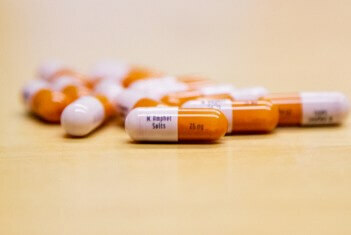 Adderall tolerance is caused by the mere presence in the body over an extended period of time. When used in the short term, the body does not have time to adjust to the presence of the drug, but when used for more than 10 days, the possibility of developing the condition builds, leading to concerns about Adderall not working anymore. Any medication that impacts the central nervous system is susceptible to tolerance, and this ADHD medication is no exception. However, there are certain factors that can make the condition more or less likely to occur. The Initial Dose Taken: When patients begin taking the drug, it is best to do so at the lowest possible dosage and then increase if needed. However, many doctors do not start that way. This is problematic as larger doses flood the central nervous system with the effects of the drug, which triggers the condition and eventual Adderall dependence and addiction. Increased Doses: As tolerance develops, the therapeutic effects of the medication become less pronounced; eventually, the patient may no longer notice a difference between their ADHD behaviors with Adderall and without it. Doctors tend to respond to this by increasing the dose, but eventually, the patient will reach the maximum safe dose and still suffer from tolerance. Dosage Frequency: Just as important as the dose taken is how often the medication is taken. Those who take the drug multiple times a day are much more likely to develop tolerance than those who take one dose each day. Patients should discuss this issue with their doctor when the drug is prescribed. Type of Adderall: The drug is available in two forms: Adderall IR (instant release) and Adderall XR (extended release). Many think that the instant release formula is more likely to cause tolerance because it floods the system, but it is actually less likely due to the body getting the chance to spend more time each day drug-free and Adderall XR side effects. Length of Time Taken: The longer a patient takes the drug, the more likely it is that they will develop tolerance. With high doses of Adderall XR, tolerance can develop in roughly 10 days. Ultimately, tolerance is a risk for any patient who takes the drug. Those who take the drug on an as needed take years to develop tolerance, but it still happens. Interactions with Other Drugs: Adderall potentiation occurs when other drugs or substances are taken at the same time as Adderall, increasing or prolonging its effects. At first, this can make it feel like the drug is working again. However, it ultimately makes tolerance worse, and sometimes the interactions between substances are dangerous. Variables Within the Patient: In addition to the items above, variations among individuals can make tolerance more or less likely to occur. Genetics, diet, stress levels, and nightly hours of sleep can impact predisposition to tolerance. Those who are more stressed and less healthy are more likely to become tolerant of the drug. Preventing Adderall tolerance should be a concern of anyone taking the drug. For one, it is dangerous and leads to addiction. For another, it makes it impossible to receive the therapeutic benefits of the drug. Given that not all ADHD drugs are effective for every patient, there can be a strong motivation to avoid the lessening effects of tolerance. But can tolerance be prevented? That depends on who you ask. While it is debatable whether tolerance can be fully prevented, most agree that there are medications, supplements, and lifestyle changes that can be taken to stave it off from some time. Let’s take a look at these by category. In addition to these methods, there are lifestyle changes that can be made to reduce the likelihood of tolerance. Options include eating a proper diet, focusing on hydration, reducing stressors in life, and getting the right amount of sleep each night. While staving off tolerance is the healthiest way to approach this issue, some patients prefer to potential Adderall. Or, in other words, make the effects of the drug stronger. On the surface, potentiating seems like a good idea: you increase the effect without increasing the dose. However, doing so can be dangerous. Patients worried about how to make Adderall stronger tend to forget that this potentiates all the effects of the drug, to the point that it could cause overdose-like symptoms and even death. Note that the drug potentiation will not affect the speed of losing weight on Adderall largely. Ultimately, patients should not worry about how to enhance Adderall unless they are working with a doctor on their potentiating strategies. Otherwise, it could prove dangerous. For example, Adderall and Ibuprofen can be very dangerous when mixed despite the potentiating effects. Never combine medications without the approval of a medical professional. While preventing tolerance is deal, tolerance still occurs, and at an alarming rate. Those who have developed tolerance need to be able to battle against it in order to prevent dependence and addiction. Below are the steps to take when tolerance is developed. First, speak to the prescribing doctor about the issue. If the tolerance has developed, increasing the dose is not recommended. However, switching to another ADHD medication might work (see Adderall vs Vyvanse). The doctor may also look into supplements to take with Adderall that increase its effectiveness or reduce tolerance. Next, ask for a referral to a behavioral health specialist. The patient should request one who has experience working with addiction. This is important as tolerance can quickly escalate, and the patient must know if help is needed in order to take the appropriate steps. If the behavioral health specialist is concerned, look into rehabilitation programs. This problem tends to strike young adults the hardest, so a teen rehab center may be required. Please note that if any addictive or abusive behaviors are noticed, such as snorting Adderall IR or talking about their Adderall XR high, rehabilitation should be sought immediately. Because tolerance can escalate to addiction rapidly, help should be sought as soon as signs are noticed. There are many rehabilitation facilities across the United States that can assist those dependent on or addicted to Adderall. Do not hesitate to seek substance abuse treatment assistance. If you or a loved one need help with dependence or addiction to Adderall, allow our addiction specialists to assist you. Call us at (888)-459-5511.